Data shared by Barclaycard shows how the UK public is splashing out 8.5% more in 2015 compared to the same period last year. 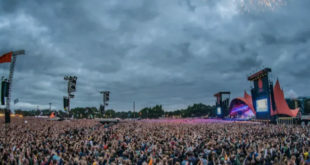 With over 300,000 people enjoying British Summer Time at Hyde Park and 175,000 descending on Glastonbury in the last couple of weeks, exclusive data from Barclaycard hints that festivals and venues across the UK could be in for a bumper festival season this year. 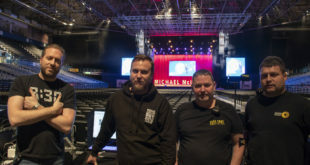 Year-to-date figures show a 8.5% rise in spending on live entertainment compared to the same period last year, with three of the last five months enjoying double-digit growth. Last month, a report by UK Music, ‘Wish You Were Here’, also revealed how music tourism now generates more than £3 billion for the UK economy. 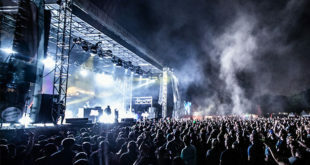 Scotland is leading the resurgence, according to the research, as July sees T in the Park festival take up a new residence at Strathallan Castle. Scots are spending 42% more per person than the UK average, outpacing even Londoners, who are coughing up only 11% more per person than the average. The results contrast starkly against the first five months of 2014, where year-on-year spending on live entertainment decreased for four of the first five months, with an average 2% decrease over the period compared to the previous year. However, the data suggests that while people are starting to go out more, they are more thoughtful about how they splash their cash. Average transaction values across the live entertainment sector are largely in decline, and have decreased each month in 2015 as consumers prefer to enjoy live entertainment more often, but at a lower cost than previously. So far this year, consumers have spent £37.62 on average per transaction, down from £40.37 at this point in 2014. “As the country enjoys a rise in spending power, people are keen to indulge their love affair with live music and entertainment. However, consumers still want to get the most from their money," said Katherine Whitton, chief marketing officer at Barclaycard. Picture: A view of the crowds at this year’s British Summer Time Festival.